The first player finished his 40 yard sprint and came over to get his time. It was a personal best. We turned back to the start line to give his team mate the signal to go. Half way down the first one said, “Oh this is going to be fast.” The stop watch read 4.79. His last time 4 months ago was 5.21. As the kids like to say, OMG! To be sure, we train and practice with a plan and a purpose in mind. There is a goal out there. Hard work and steady progress are the rule of the day. Then, something clicks and our performance takes us beyond what we’ve known or imagined. Like rounding a bend in the river, we get a glimpse of something more. In the 1968 Olympics Bob Beamon shattered the world record for the long jump. Beamon’s jump was almost 2 feet farther than the previous world record. So far beyond his personal best and beyond what his competitors had done or could imagine that despite it being his first jump, the competition was over. Beamon had actually jumped beyond the limits of the measuring equipment. .
There’s energy in the surprises. Even witnessing them is inspiring. Everything expands and a new space to grow and play opens up. It is as the late Irish poet and theologian, John O’ Donahue says in his Unfinished Poem, “I would love to live like a river flows, carried by the surprise of it’s own unfolding.” The athlete knows just what he means. The young athlete is tired. The last five days have been a constant stream of activity. School, work, speech tournaments, more work, more speech, more school, tonight training. So we back off. His engine, as we say , is running hot. The young athlete is stressed. There is club soccer, training to get ready for college, the final semester of senior year with grades, projects, finals and AP testing. On top of that a job and the decision about whether or not to play a spring sport at the high school. Talented, gifted, accomplished and running hot. Over time, like most athletes, they’ll learn the wisdom of nature; that energy cannot be endlessly spent with out being renewed and that a living system under stress cannot heal itself. In physiology we talk about the General Adaptive Syndrome or Super-compensation but it all comes back to the simple fact that growth happens in the spaces between our efforts, in the margins. Progress requires effort but, we forget that margin is a non-negotiable as well. In the spiritual life the practice of Sabbath is essential to health and holiness. Honoring the Sabbath isn’t a suggestion it’s a commandment. And so it is for the athlete. 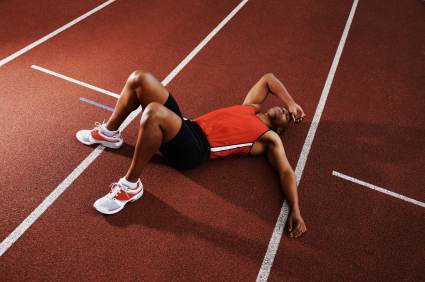 Effort has its place and its obvious rewards while rest can feel like a sign of weakness. But, there is a rhythm to all things like a beating heart emptying its chambers and then filling again. Grace flows in both directions. Give your best effort then, enjoy a little life in the margins. One of the players I coach wrapped up her high school hockey career a few weeks ago. 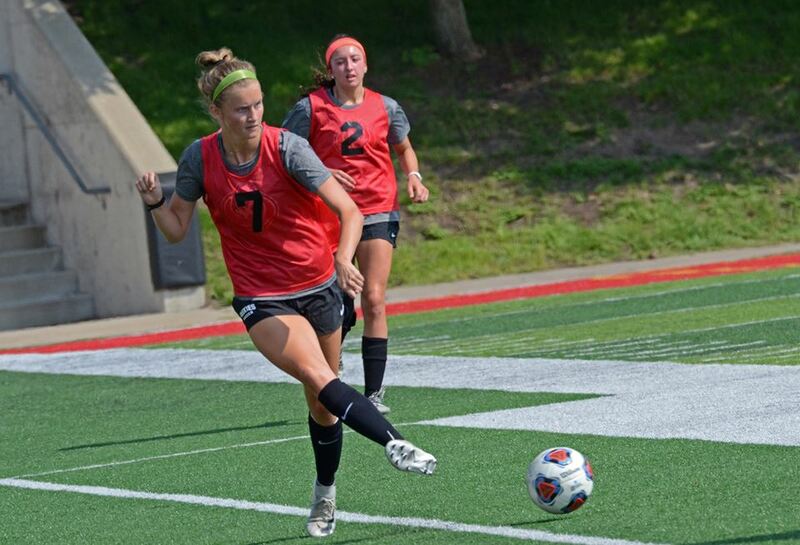 And, while there are certainly bigger things on her horizon as she prepares to play college soccer, she found herself feeling that momentary sense of sadness we often feel when we reach the end. The beauty of the athletic pursuit and it’s power to transform can probably best be understood as a journey. Whether the goal is to reach the top of the mountain or the bottom, the important part, the biggest part, is what happens between the two.That’s where we experience the wonderful grace of being alive. Challenges are met, courage summoned, disappointments overcome and relationships with competitors and teammates are forged along the way. There’s obvious satisfaction in reaching the destination. Yea!! we did it. But, making the journey is what got us there. Making the journey is what makes us. Grace is not so much at the finish line as on the way. Which is why the end of the season or a career feels bittersweet. It’s helpful to stop and look back for a moment; to reflect on what we learned, what we’ll take with us and how we’ve been blessed by taking this path. Then, when you’re ready, it’s time to pack your bags. New adventures and a new experience of that grace await. Go hard, stay focused, and enjoy the ride. Great clip below from YETI cycles on following the path.